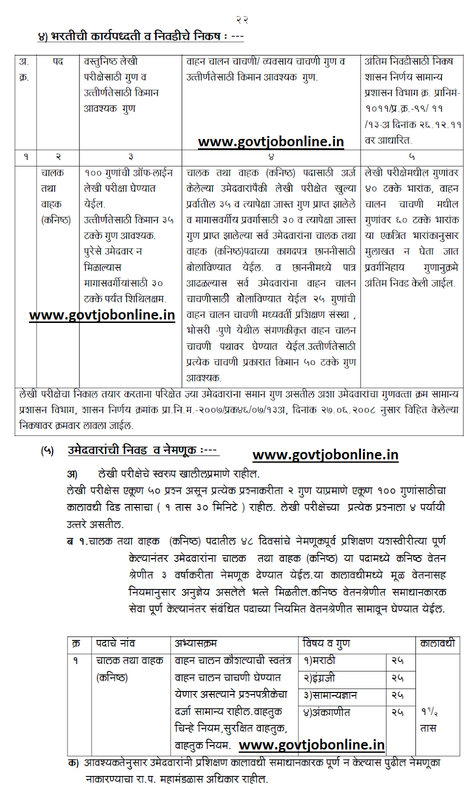 vacancies available in this current MSRTC Driver recruitment 2019. Candidates who are passed 7th class and having driving license they can apply online through MSRTC recruitment website @www.msrtcexam.in. Last Date to submit the application form for this Chalak and Vahak jobs is 10-02-2019. Final merit list will be prepared based on written test and driving test. 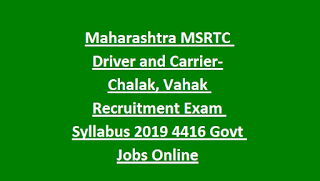 Here we are providing the complete selection process, exam details, exam pattern and syllabus for Maharashtra RTC Driver and Carrier Jobs Recruitment Exam Notification 2019. Candidate must have qualified 10 th class/SSC and should know read and write Marathi. Must have Valid Heavy Motor vehicle Driving License which is approved by RTO Maharashtra. Candidate must have 3 years driving experience in Truck or Bus. 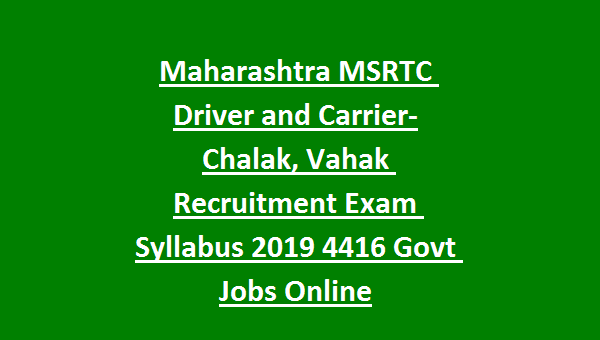 There are total 4416 posts are in this MSRTC Driver jobs recruitment 2019. Height should be 160 cms and Chest 80 Cms. As on 10-01-2019 minimum age limit is 24 years and 38 years and 5 years of upper age relaxations is given for Reserved Candidates. Selection for MSRTC Driver Jobs will be based on Written Test for 100 marks and Driving test for 25 Marks. For General candidates pass percentage in Written Exam is 35 and for reserved candidates pass percentage is 30 marks. For Driving Test minimum Pass percentage is 50. Final Merit List will be prepared for MSRTC based on candidates marks in Written Exam and Driving Test. Written Exam will be conducted for 100 marks and consists of 50 questions. Exam Duration is 1.30 minutes. Each question having 2 marks. Signals, Road Signs, Driving Skills, Road Instructions, Driving Instructions, Safety Precautions, Truck or Bus basics of Spare parts and repair works etc. Total 100 marks test will be conducted. Based on candidates marks in written exam and driving test final merit list will be prepared. 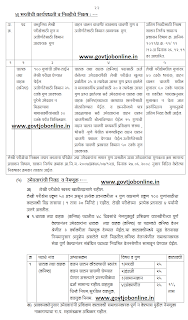 Click here to download Exam Syllabus and Pattern in Marathi PDF.